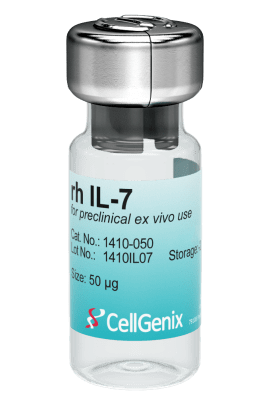 CellGenix Recombinant Human IL-7 supports the survival, proliferation and differentiation of T cells and enhances survival of natural killer cells (NK cells). CellGenix rh IL-7 is produced in our dedicated animal-free facility ensuring maximum safety for optimal use in ATMP manufacturing. 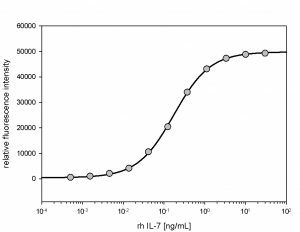 Interleukin-7 (IL-7) is a cytokine that promotes the differentiation of pluripotent hematopoietic stem cells (HSCs) into lymphoid progenitor cells. Furthermore it supports proliferation of various cells in the lymphoid lineage (B cells, T cells and NK cells). It is secreted mainly by stromal cells in the bone marrow and thymus.  IL-7 is used in the cell and gene therapy space for the ex vivo expansion of genetically modified T cells, such as CAR T cells, and differentiation of induced pluripotent stem cells (iPSCs) into T cells. It is in addition used to differentiate cord blood derived hematopoietic stem cells (HSCs/CD34+) into NK cells. 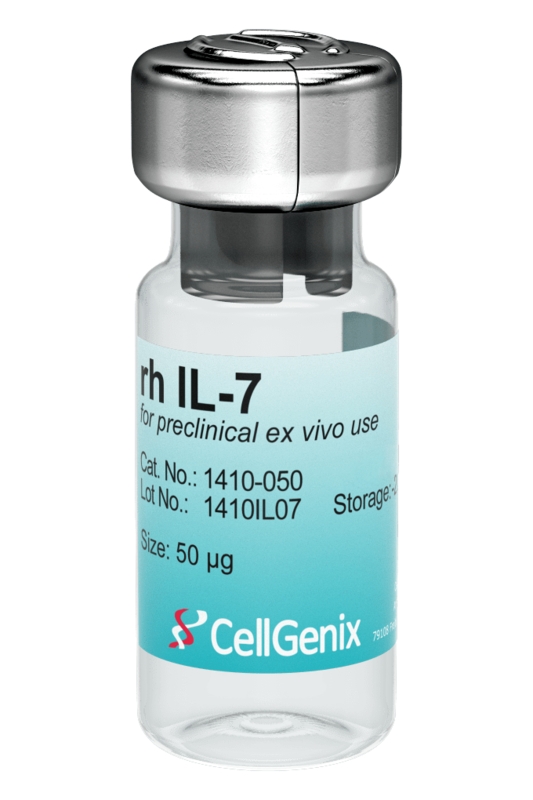 CellGenix Recombinant Human IL-7 is produced following all applicable GMP guidelines and allows for the safe use in accordance with USP Chapter <1043> and Ph. Eur. General Chapter 5.2.12. 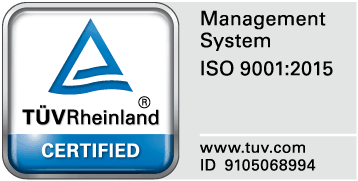 Recommended in sterile water to a final concentration of 250 µg/ml for 50 µg vials. 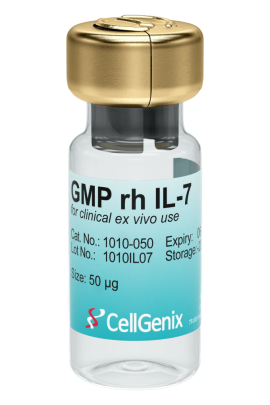 The activity of GMP rh IL-7 was measured in a cell proliferation assay using the IL-7-dependent cell line IxN/2b. It was calibrated against NIBSC #90/530.